Adventurous Lion Cub Young cubs spend much of their waking time playing, and practicing the survival skills they will need as adults. Just before they are a year old, they will join their parents in the hunt. 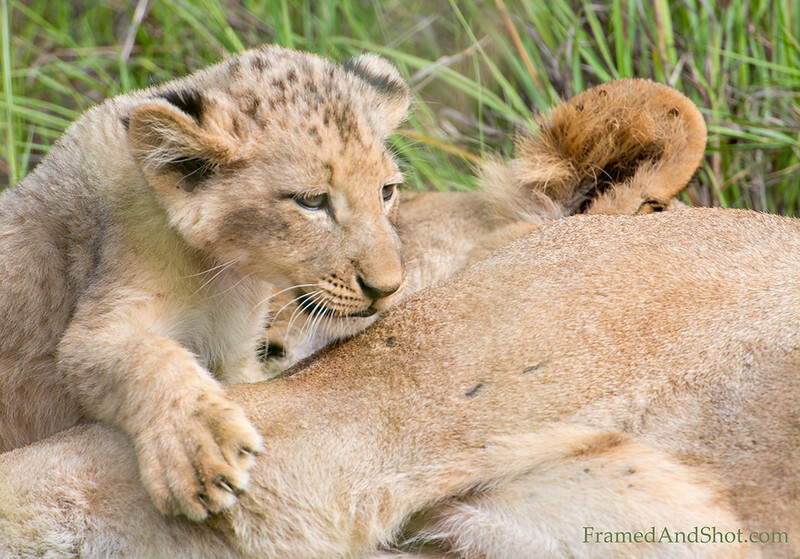 Before the cubs have reached the age of two, they can bring down prey as large as a gazelle by themselves. At age two, lions become sexually mature, and males start to grow manes.